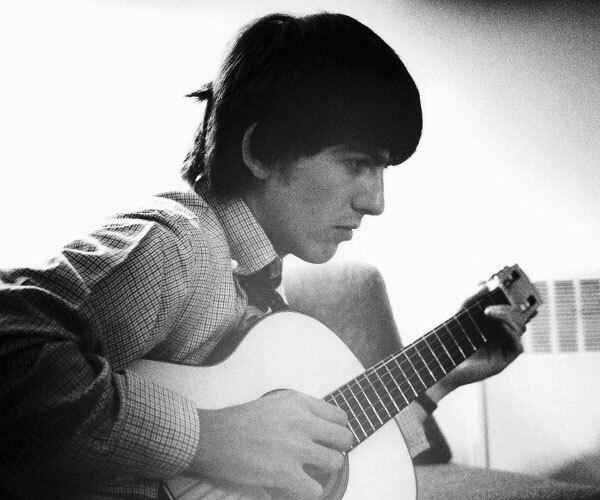 We had such a good time last week with George Harrison’s ‘While My Guitar Gently Weeps’ (the acoustic demo), why should we leave well enough alone? This week’s double-sided SoTW is going to visit a pair of songs that have always been indivisibly associated in my mind – both short (under two minutes), slight demos by artists whose oeuvre I’d assumed I knew completely, only to discover these gems decades after I thought the book had been closed. And as if that’s not enough, the later artist was profoundly influenced by the earlier one. And if that’s still not enough, the songs sound so much alike it’s spooky, a single acoustic guitar strummed at an insistent rock tempo, with just a little percussive ornamentation by his buddies in the studio. We’re talking about the discarded Beatles George-song from 1964, ‘You Know What to Do’, and the even more obscure undubbed version of a Buddy Holly demo from 1958, ‘You’re The One’. Buddy Holly (1936-1959) is one of the greatest talents to arise from the world of rock music. He recorded professionally for 18 months before he died in a plane crash (“the day the music died”). I listen to his very small output regularly, as do Paul McCartney and Keith Richards and Bruce Springsteen and everyone who understands anything about fine rock music. He wrote much of his own material, thus inventing the singer-songwriter format and serving as an acknowledged role-model for the Beatles and the Rolling Stones. The first recording of the Quarrymen was a cover of ‘That’ll Be the Day’, one of Holly’s biggest hits. Much of his music improves from year to year, none more so than The Apartment Tapes, half a dozen recordings he made in his home in January, 1959, which I reverently described in SoTW 002. 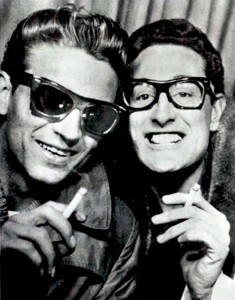 Could be I invented Song of The Week just to have a platform to sing Buddy Holly’s praises. I thought I knew all his recordings, even the bootlegs of him and The Crickets as high-schoolers playing on Saturday afternoons in the Lubbock, Texas Ford dealer’s parking lot. But here’s one that hid under my radar for many years. Buddy came home to Lubbock for Christmas 1958, a month and a half before he died. Two days after the holiday he went to the local radio station KLLL to visit his DJ buddies Waylon Jennings and Slim Corbin. 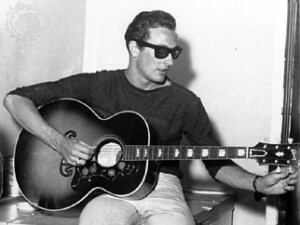 Waylon challenged Buddy to write a song on the spot, which he did (in minutes), and proceeded to record it right then and there, Buddy playing acoustic guitar, Waylon and Slim clapping their hands together and on their knees (a la ‘Everyday’). Buddy had just turned 22, but in five weeks he would be dead. Even the better-known version of the song is obscure, the horror Norman Petty created by overdubbing a band, just as he ruined the better-known versions of the Apartment Tapes. But naked, it’s as beautiful as Botticelli’s Venus. She’s the one. She knows what to do. since ‘Don’t Bother Me’ from the year before. The song was dismissed as being too lightweight, and was subsequently misfiled, to be rediscovered only in 1993. George said that he had forgotten about it. But he was also so discouraged by the experience that he didn’t write another song for a year (‘I Need You’). 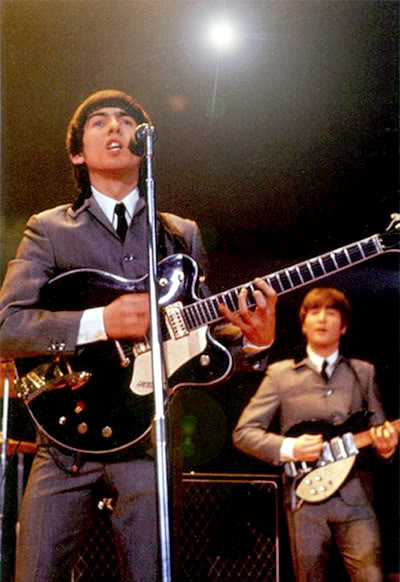 It’s George on acoustic guitar, John on tambourine, and Paul on bass. George had just turned 22, and would have an illustrious career spanning the next 37 years. the Isley Brothers. But for ‘Words of Love’ they reverently recreated the original, virtually note-for-note – John and Paul emulating Buddy’s double-tracked vocal (one of the first such recordings by a major artist! 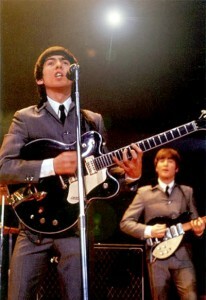 ), and George copying the lead guitar part on the same Fender Stratocaster guitar. 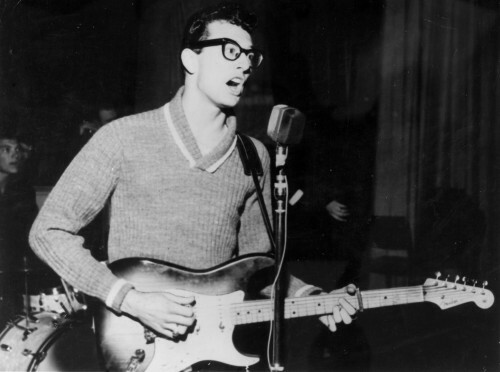 Here’s Buddy Holly’s version of ‘Words of Love’. And here’s The Beatles’ copy. More similar than different? And how about these two unknown gems? Are the similarities not greater than the differences? My votes. Beatles version of Words of Love is better. George’s You Know What To Do stunk though it sounds like it could have been reworked. Holly’s You’re The One stunk too. Thanks for reposting this– I missed it the first time. I really like both Buddy and George but can’t claim to be an expert on either. It’s great to hear both of these songs. “You Know What to Do” is far from George’s best, but I can imagine that with the Beatles treatment and George Martin’s production, it could have ended up pretty darn decent– very likely because it is so Buddy Holly-like. P.S. My niece is in the production of the Buddy Holly Story that just won a bunch of theater awards in Chicago. Again, stuff I haven’t heard, and leave it to you to find it! I thought I had heard it all when it comes to the Fab Four and their ilk, but you are always surprising us.